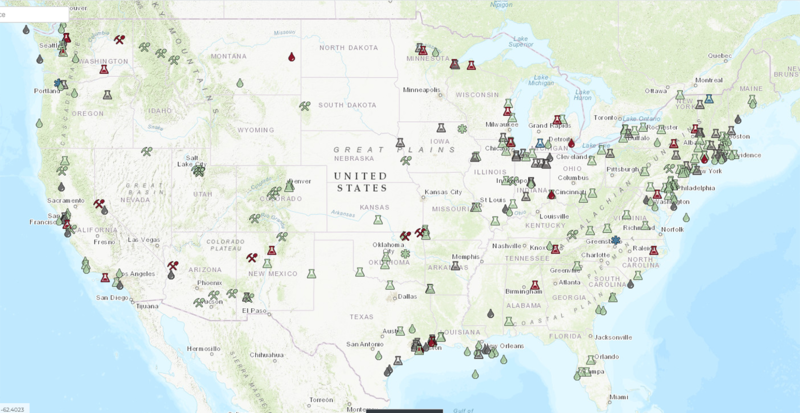 Welcome to the U.S. Department of the Interior's (DOI) Natural Resource Damage Assessment and Restoration Program (NRDAR Program) case map and document library. This map and library provides Natural Resource Damage Assessment and Restoration (NRDAR) practitioners and the public, the ability to track NRDAR cases beginning with new case initiation through damage assessment, claim resolution, restoration planning and implementation, monitoring and case closure. The goal of this website is to give internal and external stakeholders access to high-quality, relevant NRDAR data, maps and photos. Users can find publicly available case documents in one centralized location, including: Fact Sheets and Agreements, and Administrative, Assessment, Settlement and Restoration documents. The search feature displays cases on the map and filters the data in the library based upon criteria the user selects. Search results can be downloaded in various formats. Assessment/restoration - ongoing assessment activities, being conducted and there has been a partial settlement with at least one responsible party, allowing restoration activities (e.g., planning, implementation and/or monitoring) to commence. A pop up box with general case information will display by clicking the case icon. Detailed case information can be found on the case homepage by clicking on the "More Information" hotlink in the pop up box. All information presented in this library is continuously updated. As cases progress through the NRDAR process, new publicly available data and documents will be generated and cases will be updated accordingly. Consequently, the user may notice that information about a case has changed when they revisit. Gathering of case information is an ongoing effort. If you have data, documents or images to add, questions, or wish to report any errors, please contact DOINRDAR@ios.doi.gov.